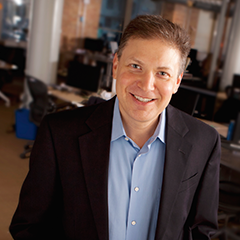 A Q&A with Mike Sands, Signal’s President and CEO. Signal was founded with the view that the 20-year-old data infrastructure that supports global e-commerce is broken. We believed that somebody needed to step up and address the issue to help ensure that the digital economy stays healthy, so it can keep growing for the next 10 or 20 years. When the company started back in 2009, we saw several things that concerned us. One was that the digital economy had grown to become a multi-hundred-billion-dollar industry, and it was built on the back of technology that dated to the mid-1990s. And of the thousands of companies engaged in the data ecosystem, there wasn’t one that was laser-focused on fixing that aging infrastructure. The problem as we saw it had three components: Web browsers, tracking code (“tags”) and cookies, which provided the infrastructure for collecting Web-user interaction data that is the lifeblood of the digital marketing ecosystem. The browser was at the center of all the data connectivity. And it used “tags” and “cookies” to transmit data from websites on a one-to-one basis. It’s a process that was invented two decades ago – that’s an eon ago in Internet-years – when there were no logical, scalable alternatives. The problem in today’s world – and for the future – is that the Web browser is becoming just one of many places for capturing and identifying a user’s behavior and interactions. Both tags and cookies were designed for a Web-browser-only world. They’re inherently limited in the ability to extend their capabilities beyond the Web browser. So when we started Signal we said, let’s solve that fundamental infrastructure problem. It doesn’t reflect consumer behavior today. Behavior is not browser-centric, it’s across devices, with apps and email. It’s in point-of-sale systems, sophisticated call centers and data warehouses. And none of these different places are centered around browsers. That’s true for television also. Yet these are the places where consumers interact and intersect with the digital economy. These non-browser-centered places are growing more important every day. Mobile isn’t going away, it’s only growing in importance. Your TVs are becoming connected devices. Screens are what are important. And screens beyond Web browsers don’t support tags and cookies. Signal solves this challenge with a new infrastructure that is cloud-based and relies on API connectivity rather than being centered around tags and cookies. Rather than perpetuating a two-decade-old technology, we created a new technology platform for the next decade or two of growth on the Internet. That vision is very inspiring to us and that’s exactly what we created. We moved the concept of cookies to the cloud. We need servers instead of browsers to work in our world. And Signal has created the most API connections in the industry to the vendors and companies that rely on this very valuable data. One key result is that consumers can get more relevant messages on a timely basis. The other very important result is that vendors and advertisers have richer data to work with. So they don’t have to worry about IT cycles or whether browsers will accept cookies, or whether a tag will fire correctly. By moving everything to the cloud and leveraging a data integration hub, we’ve started to systematically create change and a real underlying benefit for our clients and the industry. When vendors and brands have better data, they can focus on creating more relevant messages and merchandising. They can focus on more important work than managing their old infrastructure. What values does Signal support in building this new technology foundation? If you look at the legacy data infrastructure built around browsers, there’s not a lot of trust and transparency around that methodology. It’s all one-off, it’s behind the scenes, it’s all very technical. You don’t know what data is being collected and you certainly don’t know what’s being shared. It’s led to a lot of consternation from consumers, from governments and from the brands and vendors that are using this method. Vendors can’t get access to data. Brands have no idea what kind of data they’re sharing and transmitting. So it’s a little bit of a mess. So we want to create a system for the industry that generates more trust and transparency around the data that’s being collected and shared. It’s important for the benefit of the end consumer and for brands and vendors. When we look at the thousands of vendors that provide services to brand marketers and agencies, today only a very few, maybe two dozen, have significant market share. And of those two dozen, only two, Google and Adobe, have significant share. Most vendors have less than 1 percent market share of the billions of websites in the world today. So the third value we are focused on in building this next-generation infrastructure is making sure all parties have an equal footing – that the oligarchs of data, the mega-vendors, aren’t the only ones that benefit from a new infrastructure. We want to make sure that there’s open access and that trust and transparency are about openness. We want all vendors, including the young companies with great ideas, to benefit, not just the oligarchs and the mega-vendors. Brands and vendors also benefit from openness. They want innovation but struggle with it because of the IT cycles and the lock-in that’s occurred using legacy data-connection systems. So our new infrastructure allows plug-and-play. Marketers can plug and play their data through the cloud across devices and across experiences to connect brands with all of their data and user experiences. Also the brands themselves can have unprecedented connectivity with their vendor ecosystem. With the press of button they can innovate. And the notion of “innovation on demand” is at the core of openness. If you can innovate on demand, then the little vendors with the big ideas can continue to grow and provide a lot of value to the industry. The industry won’t just be the playground for the oligarchs. And that’s a core value at Signal. Our vision is a bold one. It’s about building the infrastructure for the next couple of decades of data connectivity and growth. It’s cross-device, it’s cross-experience and it’s about what is happening with the customer right now, in real time, versus trapping data in silos. And it’s also about having the right vision and values. Trust, transparency and openness are at the core, not only as guiding principles for Signal, but also for the kind of technology we build.